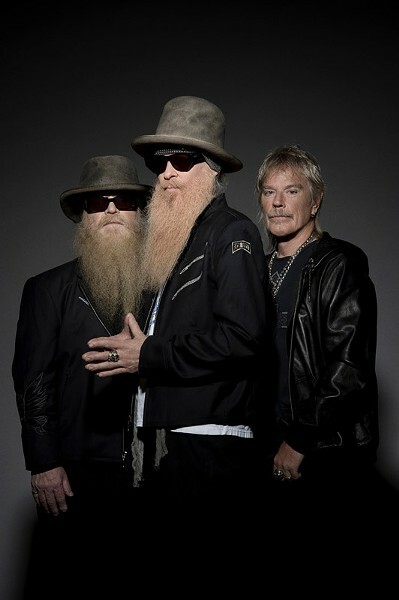 ZZ Top has established itself as its own genre that supersedes just rock 'n' roll and the blues. "La Futura" is the hirsute hipster trio's new Rick Rubin-produced platter, and it's the group's first studio album in nine years. It's classic ZZ Top with a smoldering tone, swaggering back beat, and Frigidaire cool. At the center of it all is Billy F. Gibbons' swampy guitar and gravel-road voice. With Dusty Hill (bass) and Frank Beard (drums) as the ultimate laid-back rhythm section, the band sounds fresh and exciting without forsaking the Texas boogie that compels diehards to come to the tube-driven altar. After more than 40 years at the game, and 15 albums to the band's credit, ZZ Top shows no signs of slowing down. Gibbons even took issue when we suggested an end even existed. We gave Gibbons a few Q's and he fired back some A's. Read on for an edited transcript of the conversation. CITY: How have you maintained the band's lowdown sound over 40 years and 15 albums, and managed to keep it fresh? Billy F. Gibbons: We're still doing much the same thing now as when we started, yet we've stepped up with the times and technology. It's still a blues-based thing, yet we're not averse to some exploratory excursions on the sonic horizon. We like to play and remain engaged to test the limits rather than submit to ossification, doing the "same ol', same ol'"...which is not to say we'd be averse to doing a song off our first album. It's all part of a continuum and we're pretty comfortable to be hard at it. How has the band managed to survive every fickle trend in the music business? We like doing this, so the fact is if our audience was only a fraction of what it is, we'd still do it. From the start we played full tilt — even wrapped a full-blown concert early on where there was only one paying customer. We completed a set, took a break, bought the guy a coke, then finished the show. That reality underscores that back then, we came to play, and that's still what we do. We like it all, from 45 RPM, to LPs, to eight-track tapes, to cassettes, to CDs, and digital downloads. All good. Tons of rock 'n' roll bands cite ZZ Top as an influence, yet nobody sounds like ZZ Top. What's so hard for them? There are, in fact, a few ZZ Top tribute bands, and one of them, Fandango!, featured a certain Billy Bob Thornton on drums. I don't know if anybody out there should strive to sound exactly like us, as one's best calling card is the development of a sound all your own. There's a band out in Austin called Amplified Heat who are three guys banging it out, and they do come close. But nobody is ever going to mistake them for us, or vice versa, and that's more than OK with us. What was the plan of attack going into the studio with Rick Rubin to record "La Futura"? What did you set out to do? What did you set out not to do? As Rick told us, "I don't think I need to re-wire ZZ Top." The idea was to let ZZ be ZZ, and the best ZZ we could be. To this end, we staged a host of late-night jam sessions along with Rick to loosen things up, and when it came time to record, Rick and the band were all about getting the best possible performances down solid and tight. How does the band write? Lots of different ways. Sometimes a riff or a melody comes along and mandates that lyrics be created to complement. And, often as not, a lyric, turn of phrase, or just a title will ignite a tune. It's not a set circumstance, which is OK with me since it always makes the process interesting and new. What makes for a good ZZ Top show? An enthusiastic audience is always appreciated, as we want those folks to have a memorable experience, which, in turn, raises the stakes for us. Sometimes you can sense, "It's gonna be one of those nights of nights," and everything ratchets up a notch. We're up there on stage to ensure you have a good time. If you do, we do. Numerous automotive projects are always in process, and we collect African art, both of which could be full-time pursuits. And, of course, between the BBQ party in the venue parking lot, there's the infamous radio-controlled race-cars in the lot during show day afternoon. As noted, we like to play. I mentioned those Amplified Heat guys, and there's our pals The Black Keys, who really know how to put it down. We're also digging Black Joe Lewis & The Honeybears, also out of Austin and LA punkers Surprise Vacation. How will it end? What will be the legacy of ZZ Top? "How will it end?" C'mon, we're just getting started. Ask that question in another 43 years. The legacy, one hopes, will be one that highlights the band's three Ts: tone, taste, and tenacity. Oh yeah!